NextGen Gaming, the winner of 2013 RNG Casino Supplier, is one of the most popular game developers in online gaming industry. In 2011, NextGen was acquired by NYX and since then acts as its full subsidiary. Here you can find our list of best NextGen casinos (and a list of some of their favorite slots). Have Fun! Unfortunately, the casinos below do not accept players from US. If you are from the States, please check our list of Best USA Casinos. 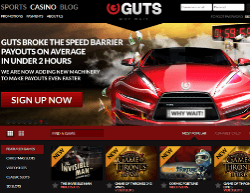 Almost 800 casino games, 10 different software providers, instant withdrawals – it’s now wonder that Guts is listed as our #1 NextGen casino. 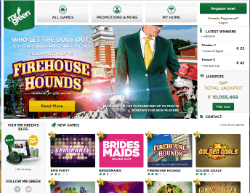 These days you can take advantage of their great welcome bonus of $/€/£ 300 Cashable bonus + 100 Free Spins. Games by NetEnt, Microgaming, IGT, Play’n Go, Leander and of course, NextGen Gaming. Another award winning online casino. The variety of games is pretty much similar to the previous one on the list, which means that you have 800 slots to choose from. Frequent promotions and bonuses to exisitng players. 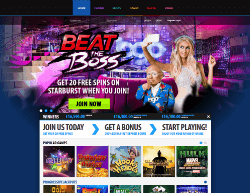 BGO, or BGO Vegas casino is a new name on the list. It’s a bit more edgy than the previous brands on the list, something you can expect from a casino that took Paris Hilton as its presentor. New players can try it for free with a 20 Free Spins bonus. Currently, there are about 60 NextGen slots available online. The most popular names are Foxin Wins, Medusa, Merlin’s Millions and the Jackpot Jester Fruit machines. It’s also worth checking the new Gorilla Go Wild and Bingo Billions slots. The usual return of NextGen slots varies from 93% to 96%. The Price is Right being the loosest one we found so far with up to 96.5% RTP.